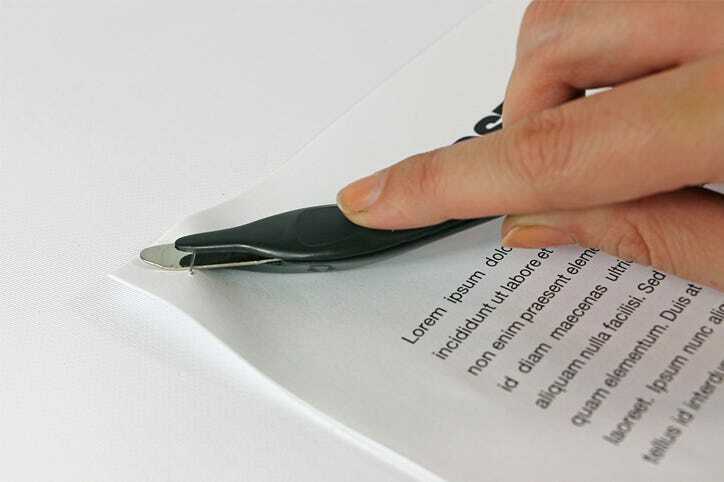 Let's face it, staples can be tricky to remove and nothing is more frustrating than tearing the paper while doing so. You’d think it’s as simple as it sounds: remove the staple. However, there's no problem in going back to basics and learning how to correctly remove a staple with a staple remover. In fact, that’s exactly why we have dedicated a whole blog to teach you how to do just that! 1. To easily remove staples from paper, place the metal tip of the remover under the front side of the staple, as shown below. 2. 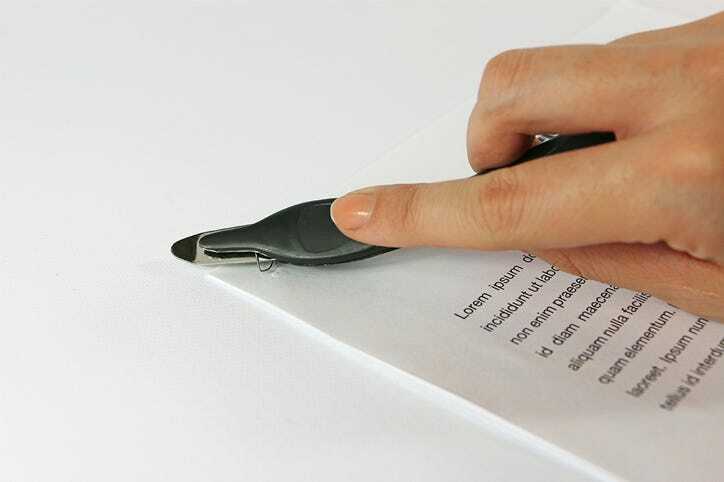 Push up and away from you to easily detach the staple from your documents. Yeah, it’s that easy! 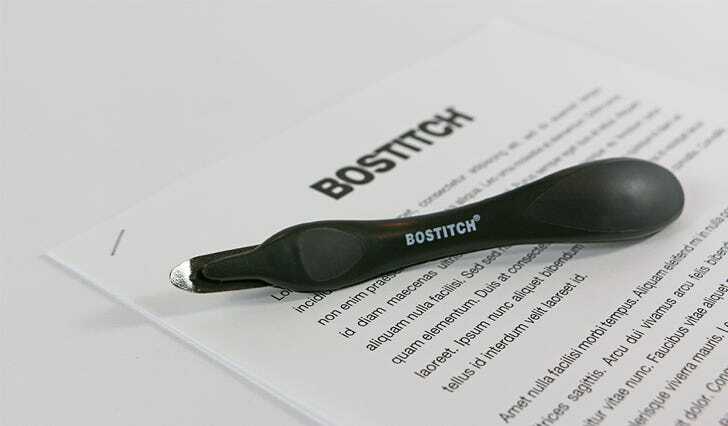 Keep in mind that we used our push-style Bostitch Professional Magnetic Staple Remover; no more piercing paper claw removers that only create more unwanted holes and dents. We find any of our push-style extractors to be the best staple removers for the job, allowing you to securely access the staple with no unnecessary struggle and paper tears! Additionally, be sure to get the most versatile use out of your staple remover! 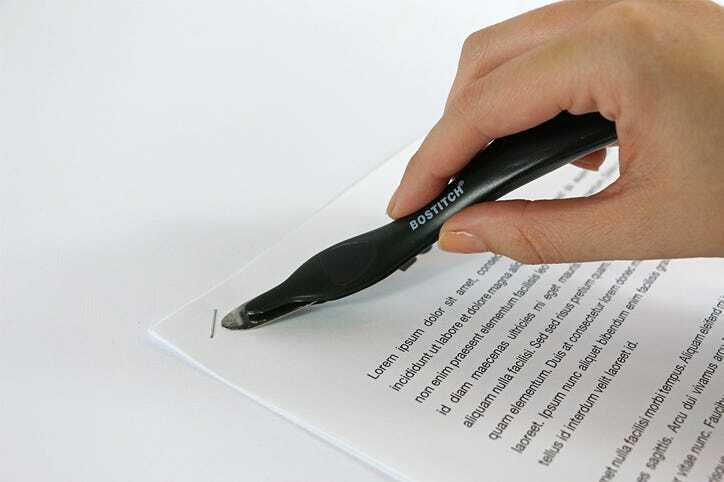 A common view about extractors is that they’re strictly useful for separating pages in stacks of documents. However, they’re also highly beneficial for bulletin board tackers! So, teachers, next time you want to save the seasonal bulletin decorations for next year’s use, avoid wrecking them by using push style removers. 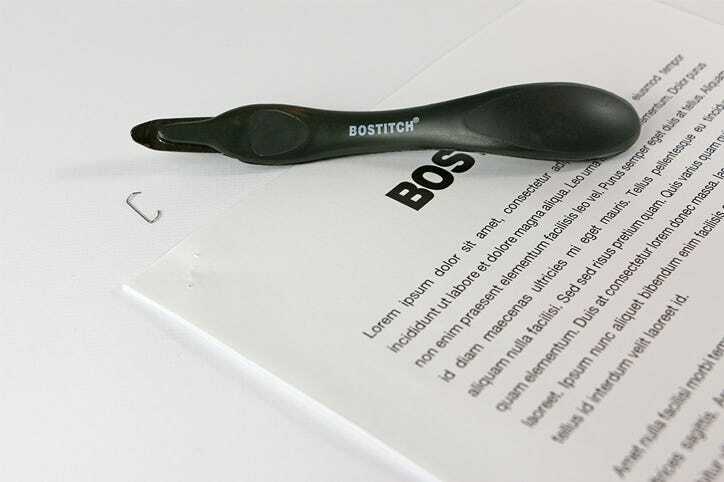 Most of our Bostitch staple removers include staple grabbers, along with a useful magnetic pick-up feature - so you don’t have worry about any loose, sharp staples falling on the ground to later be stepped on. What’s even better? 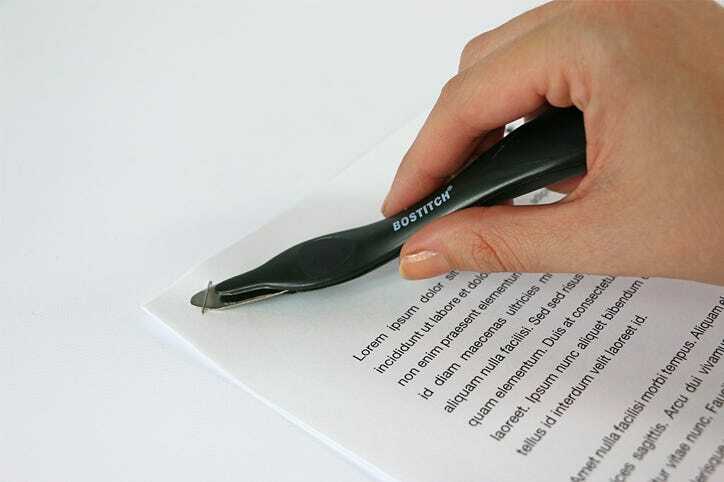 A rubber handle for added comfort, for when your day is packed full of removing tough staples. Have a large job? 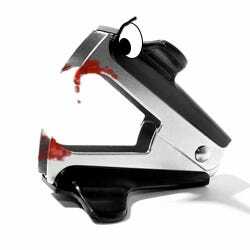 Try a heavy duty staple remover for large staples and cartons. Don't forget to avoid those scary, sharp claw staple removers! Instead, be sure to use the friendly push-syle extractors!